Transferred from the School of Dental Medicine in 1962 (1962:33), 1967 (1967:7), 1968 (1968:49), 2015 (2015:018), 2016 (2016:055). Organized in eight series: Transcript Records, 1879-1978; Matriculation Registers, 1908-1964; Matriculation Forms 1897-1924; Admission Records, 1897-1957; Class Records and Student Files, 1924-1969; Graduation Record, 1878-1954; Court Orders, 1928-1943; Index Cards. All the contents of the series or subseries are arranged chronologically. The Transcript Records and Class Records and Student Files series are arranged first by degree granting program and then chronologically. The chronological arrangement of most of the transcript and student files is by year of graduation. 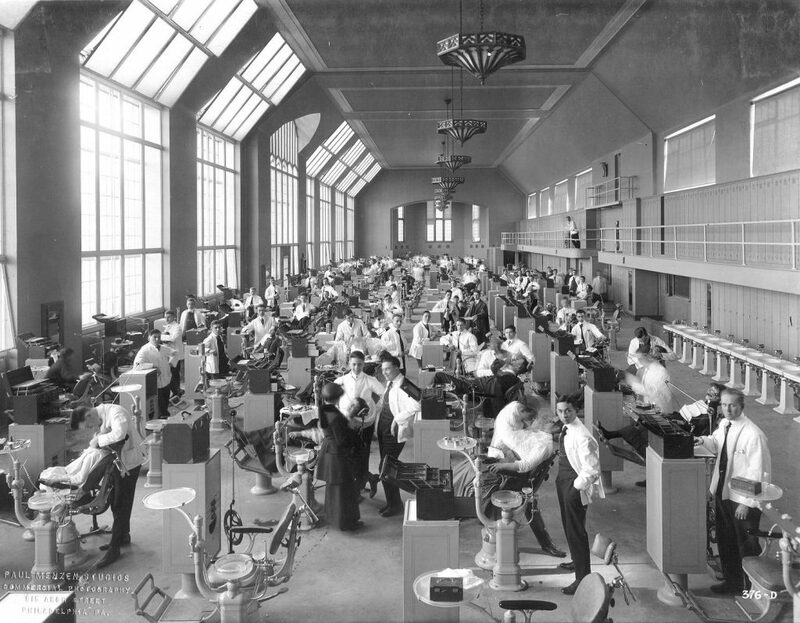 The School of Dental Medicine Student Records primarily document the academic careers of students who attended the school from its founding in 1879 to 1969. The documentation ranges from matriculation registers, grade books and transcript sheets to application forms and correspondence. The official academic records begin in a bound volume format and transition to individual sheets around 1920. In addition to recording the grades students received, the transcripts include basic biographical data, such as place of birth, names of parents, occupations, prior education and (after 1933) photographs. Information regarding individual student’s academic career can be found in the Class Records and Student Files series. Prior training and education is well documented in the Credentials subseries of the Admission Records series. These often contain transcripts and certificates from other schools – many outside the United States. The collection also includes a card index of graduates of Pennsylvania College of Dental Surgery, 1859-1905. NOTE: Access to the records is restricted for all living alumni according the provisions of Family Educational Rights and Privacy Act (FERPA) and the Protocolls of the University Archives and Records Center. All theses required for graduation (up to 1885) are housed with the Special Collections, Rare Book and Manuscripts center of the University of Pennsylvania Libraries. Student records for the schools that merged with the School of Dental Medicine are part of those individual school’s records at the University Archives. Pennsylvania College of Dental Surgery.